"Forging unique wrought iron work, Master Blacksmith Paul Gilbert designs and creates stunning decorative metal work pieces." 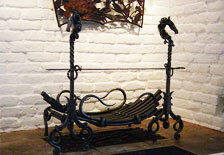 Master blacksmith, Paul Gilbert, creates numerous pieces on commission for clients who require unique creations. 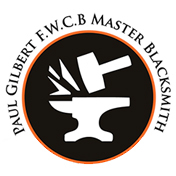 Paul is a F.W.C.B Master Blacksmith, which he was awarded by The Worshipful Company of Blacksmiths. 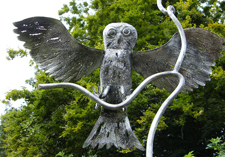 Paul provides a wide selection of different designs for wrought iron items, including gates, fencing, fire grates and sculptures. Paul's creations are perfect for both in and out of your home. Paul can create for you a range of items, including small scale items to larger items, such as gates and fencing. 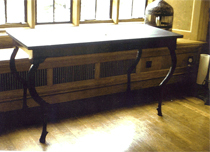 With years of experience, Paul creates commissioned work and can give written quotations for jobs, whether they are for small or large iron work pieces. Give Paul a call today on 01483 378 953to discover what he can do for you. 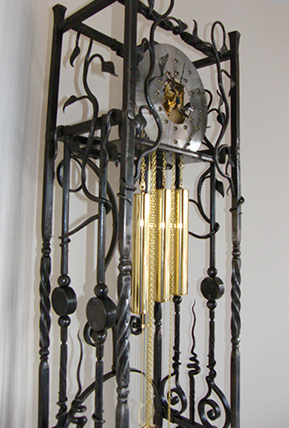 Some of our bespoke items that we create include fire gates and fire accessories, such as pokers. Paul can create the items in a style that matches your home's current features so to fit in, while at the same time adding a stunning new feature. Working together with Paul you will be able to create a piece that truly reflects what you had in mind with a range of possible items that you can choose from. Paul creates a range of unique interior items, including tables, chairs, sculptures and coat hooks. 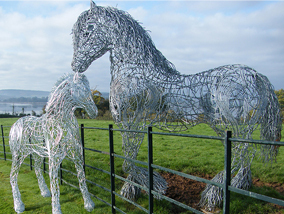 We provide a range of unique sculptures to clients, including 'Prince the Horse', which was awarded Champion of the Show at Devon County Show. 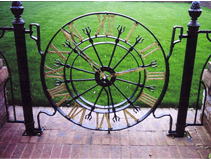 Surrey master blacksmith, Paul Gilbert can create for you gates, fences and railings in totally one off designs, making your home one of a kind. 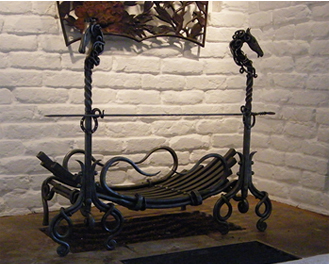 Paul has been providing unique wrought iron pieces for over 20 years, and has provided numerous homes with fire grates and fire tools to go alongside. Paul's items are both decorative and durable so once installed they will last for many years to come while adding a stunning feature to your property. We can also provide gold leaf work using 23 1/4 carat gold to add that extra bit of style. If you want to find out more about some of the workmanship involved then have a look at how Paul creates his Wrought Iron Gates and Wrought Iron Fire Tools.